Choosing your wedding flowers and floral arrangements is an important aspect of planning your wedding. 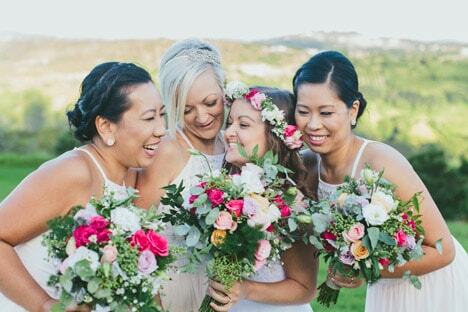 After all, your wedding bouquet will likely be in the majority of your professional photos. Further, your floral arrangements at your ceremony and reception locations can help you achieve a beautiful and elegant look to your wedding day. Of course, with literally millions of different floral arrangement options available to you, selecting your wedding flowers is often easier said than done! By keeping a few special considerations in mind before you select your wedding flowers, you can make the decision a lot easier and less stressful. So join the team at True Bride as we discuss the top 9 Special Considerations for Selecting Wedding Flowers that you should keep in mind! First and foremost, if you have a relatively strict budget that you’re trying to stick to, you should keep this in mind when shopping for wedding flowers. Floral arrangements can easily eat up thousands of dollars or more, especially if you want flowers that are out of season. It is beast to allocate at least 5% of your total wedding budget towards flowers. Of course, if you’re on a tight budget, there are plenty of creative ways to maximise your floral budget. Consider, for example, having your ceremony floral arrangements moved to your reception location and used as decorations there. Furthermore, any reputable florist should be able to find ways to make your budget work, regardless of how big or small it may be. You can also consider artificial floral arrangements as well made artificial flowers look just a good as real ones and don’t suffer from heat or dehydration as cut flowers. The season of the year in which you’re getting married can also have a major impact on the cost of the flowers you desire. To cut down on costs, you’ll want to stick with flowers that are in-season at the time of your wedding. These will be easier to come by and will save you money compared to flowers that are out-of-season. 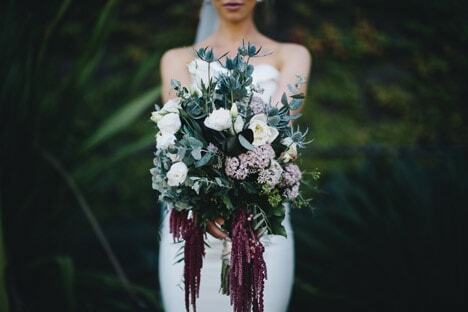 Native flowers are also a good choice, easy to come by, and are currently the trendy choice for modern brides. If you’ve already selected your wedding colours and/or wedding theme, you’ll also want to consider these as you determine your wedding flowers for your big day. 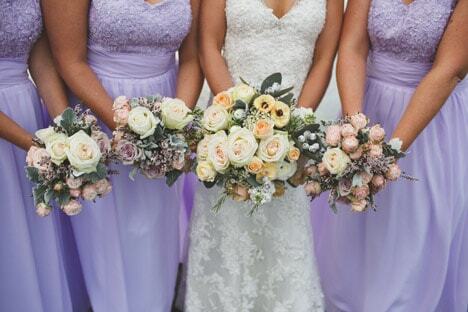 Keep in mind, however, that you do not need to stick solely to your wedding colours. Selecting complimentary colours can be a great way to add interesting pops of colour here and there. And of course, be sure to factor in the colour of your wedding gown as well. For example, if your gown is ivory in colour, you may actually want to avoid bright white flowers in your bouquet, as these may make your dress look dark or dingy in pictures. The location of your florist, where you want to have your flowers, and the number of arrangements you order will also have a major impact on the overall cost. Typically, you’ll want to have floral arrangements at your ceremony location (perhaps up on the altar if a church wedding), as well as some floral centrepieces at each reception table. 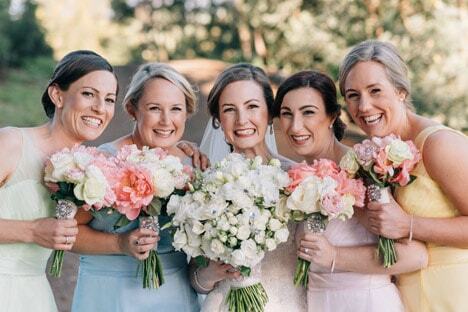 In addition to your bridal bouquet, you may also need bridesmaids’ bouquets, boutonnieres, and corsages. Keep this in mind when budgeting. For more on the meanings behind flowers, and choosing flowers for your wedding day, visit our page Top 10 Wedding Flowers and Wedding Bouquet tips! 6: DIY or Hire a Florist? One other important decision you’ll need to make when it comes to your wedding flowers is whether you’ll DIY them or hire a florist. Unless you have a great deal of experience in working with flowers, you’ll always be better off hiring a professional for this type of work. After all, a florist will handle everything from putting your arrangements together for you to delivering and setting them up. These are not tasks you’ll want to be stressed out over on your special day! In addition to the special considerations outlined above, there are also a few common mistakes you’ll want to avoid when it comes to selecting your wedding flowers. There’s a good chance that some of your wedding guests will have allergies to certain flowers. For this reason, you should avoid placing strongly scented flowers too close to your guests (such as on the reception tables). 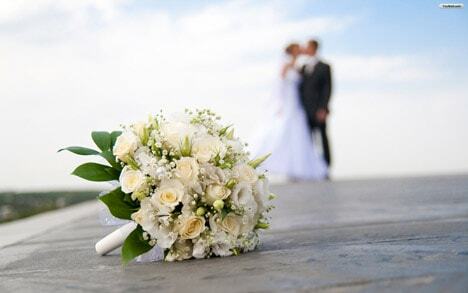 Be sure to ask your wedding party and others who will be given bouquets or corsages if they have any specific floral allergies before you select arrangements as well. Some flowers are absolutely beautiful, but won’t last for long out-of-water. The last thing you want is for your wedding bouquet to be totally wilted by the time you’re done taking pictures! For this reason, it’s always a good idea to find out from your florist how long your flowers are expected to last and if there are any special steps you need to take to care for them, such as placing them in a vase of water during your reception. Last but not least, avoid making the all-too-common mistake of putting off ordering your wedding flowers! Ideally, you should select and at least place a deposit on your floral arrangements six or more months before your wedding. Florist’s dates fill up quickly, especially during peak wedding season, so you don’t want to end up scrambling to find a florist at the last minute because you waited too long to order. Even if you’re not 100% sure what you want in terms of your wedding flowers right now, it’s never too early to select a florist and secure him or her for your wedding date. Selecting wedding flowers may seem like an overwhelming task at first, but when you take the time to consider some important factors and remember your overall wedding vision, things become much easier. Just be sure to keep these tips in mind and avoid some common mistakes; you’ll have lovely flowers picked out for your big day in no time!